Photos below of the quilts that were made from Betty’s fabric. Many, many thanks to all who helped make this a successful project. 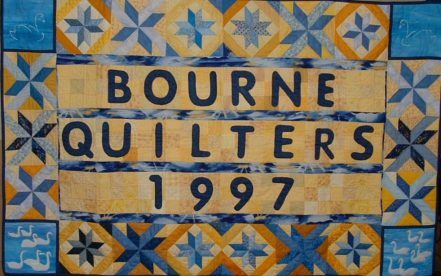 The quilts will be distributed to local charities. *Click on the bubble and the photo will enlarge. We also had a ‘Show and Tell’ of some of the quilts that we made for the Siblings Together charity which some of our members completed a few weeks ago. Well done and many thanks to all who participated. Lis then showed us some of the quilts that were made from Betty’s fabric. If anyone knows how we can contact her family we would like to show them what we have achieved.